Reviews all properties to increase revenue potential. Physically inspects properties to determine compliance with existing leases and condition of property. Reviews current leases for compliance with insurance requirements, general lease terms, and ability to collect. Reviews space needs of City Agencies to determine ability to fill request with City-owned space. Privately-owned property is leased to accommodate space requirements for City agencies that cannot be filled with City-owned space. The Department of Real Estate is requested by various City agencies to find adequate space for new and existing programs. The Department of Real Estate will utilize its network of contacts to search for space or may enlist a broker/brokers to assist in the search. Acquisition activity is generally initiated through urban renewal projects undertaken by the City through the Department of Housing and Community Development (HCD) and overseen by the Comptroller. Requests for acquisition of other properties for development of the City are also handled by the Office of the Comptroller. Based upon appraisal of the property, the Department of Real Estate “negotiates” an option with the owner to acquire the property. The acceptance of the offer results in a signed option agreement. The option agreement is presented to the Board of Estimates for approval. Upon approval, the option agreement is processed for settlement and the deed is recorded. If the offer is rejected, the property is placed into condemnation. In most cases, the City places the property in “Quick Take” wherein, the appraised value is deposited in a court established escrow account. Disposition of City-owned (surplus or tax sale) properties and assignment of tax sale certificates. The Comptroller is authorized to sell any tax sale certificate contained on a certified list of certificates of property by the Director of Finance for non-payment of taxes. Click here to view the Department of Housing's real estate code map. The Director of Finance, through the Bureau of Collections, holds an auction sale in May of each year offering the public the right to purchase a tax sale certificate on those properties which have delinquent liens (taxes, water & sewer charges, boarding, cleaning and razing). Upon the completion of the tax sale, certificates which were not acquired are assumed by the City. These certificates then become the responsibility of the Office of the Comptroller through the Department of Real Estate for possible assignment as authorized by Ordinance 918 approved May 13, 1943. When assigning a certificate, the City must collect the total liens against the property, plus interest accruing from the date of tax sale to the date of assignment. If such assignment occurs after July 1st, the ensuing year’s real estate taxes in addition to the liens must be collected. Please note that the information contained herein does not constitute legal advice. It is the responsibility of each constituent to verify the accuracy of the following information. Contact the Department of Real Estate, (410) 396-4768 or the Tax Sale Division (410)-396-3981 and ask for the cash amount needed to acquire the certificate. The tax assignment cost is calculated by adding interest on the lien at the rate of 1-½ % per month or any portion thereof from the date of the public auction in May to the date payment is to be made. In addition, any assignments after July 1st of each year requires the payment of taxes for that fiscal year. The tax sale certificate may be obtained from the Tax Sale Division six (6) months after the public auction date in May. The six-month period may be reduced to sixty days upon certification by the Commissioner of the Department of Housing and Community Development that the property is vacant and requires substantial repairs to comply with the Baltimore City Building Code. Upon receiving the certificate, the holder should employ an attorney to institute the required legal proceedings in an effort to place title in the holder’s name. The papers are then filed in court system. The court will set a date at which time the owner of the property must redeem the property and reimburse the purchaser for costs incurred. If at expiration the property has not been redeemed, the court will issue a final decree to foreclose the owner’s right of redemption. The property may be redeemed by anyone with a present title interest up until the foreclosure case is completed. The person redeeming the certificate must refund the holder liens paid, taxes advanced, interest on the lien at 1-½ % per month from the date of tax sale to date of redemption, and legal expenses, if incurred, for closing the right of redemption. The holder of the certificate has no property rights until the foreclosure process is completed and title is transferred. The holder of the certificate is responsible for any City liens placed against the property subsequent to the date of the tax sale in May. The tax sale certificate holder is fully responsible for such costs or repairs provided the title is obtained. If the property was cited as vacant by the Department of Housing as of the tax sale date in May, special attention must be given to the foreclosure case. Be sure to read the important notice on the reverse side of the tax sale certificate which clearly states that the certificate will be void and all monies paid forfeited, if the foreclosure proceedings are not filed within one (1) year from the date of said tax sale certificate. If the property was cited as occupied, proceedings must be filed within two (2) years from the date of said certificate. The Department of Real Estate performs a review or an analysis of all real estate-related transactions and development proposals. This determines the cost, benefit and/or risks to the City in furtherance of the goal of the Comptroller to protect the interests of the City and its citizens in transactions that involve real property and or loans. [Transactions include Payment in Lieu of Taxes (PILOTs), Tax Increment Financing (TIFs) and Tax Credits]. Assistance and direction is provided to Community Development Corporations, and to profit-making and non-profit developers regarding ownership information and potential acquisition strategy for their proposed development projects. For matters relating to wireless towers and antennas, follow these instructions to co-locate or construct on public or private property in Baltimore City. Co-locate/Replace/Modify on a city owned structure. Confirm that the property is City-owned. Check for space availability on the property by performing a site visit and inspection after you obtain a "Right-of-Entry" from the Department of Real Estate. Once notice is received that the City-owned property is available, submit the Baltimore City Antenna Site Application (PDF). Upon receipt and preliminary review of your technical application, you will be contacted by the Department of Real Estate within 30 days and provided with a status update. After your completed application is reviewed and approved, completion of the appropriate license agreement is the next step. For further information, please review the Baltimore City Communications License Agreement. Once you have a license agreement, obtain building permits, and other approvals as needed. Important Note: Applicants are responsible for providing complete application packages. Incomplete applications will be rejected, and shall lose their priority in terms of the order in which the requests are reviewed and concluded. Notification of rejected applications will be provided by the Department of Real Estate. Confirm that the property is owned by the City. Check for space availability on the City-owned property. After you submit your inquiry, the Department of Real Estate will contact you within 10 business days regarding property availability. The City of Baltimore is willing to accept offers to place telecommunications facilities on its properties. Adequate compensation is required in the form of an annual license fee which will increase by 4% each year. The City of Baltimore has telecommunications facilities on its towers which house the city’s communication equipment and on buildings such as fire houses and public works facilities. Anyone interested in placing antennas or other equipment on city-owned sites should contact the Department of Real Estate at 410-396-4768, send an email to [email protected], or complete and submit an Antenna Site Application. For an Antenna Site Application, click here. Please contact the City of Baltimore Board of Municipal and Zoning Appeals office regarding zoning requirements at 410-396-4301. Zoning approval will be required before a License Agreement will be submitted to the Board of Estimates. Upon execution of the Licensee Agreement by the Licensee and the submission of six originals to the City of Baltimore, the Department of Real Estate shall submit the License Agreement for approval by the Space Utilization Committee. 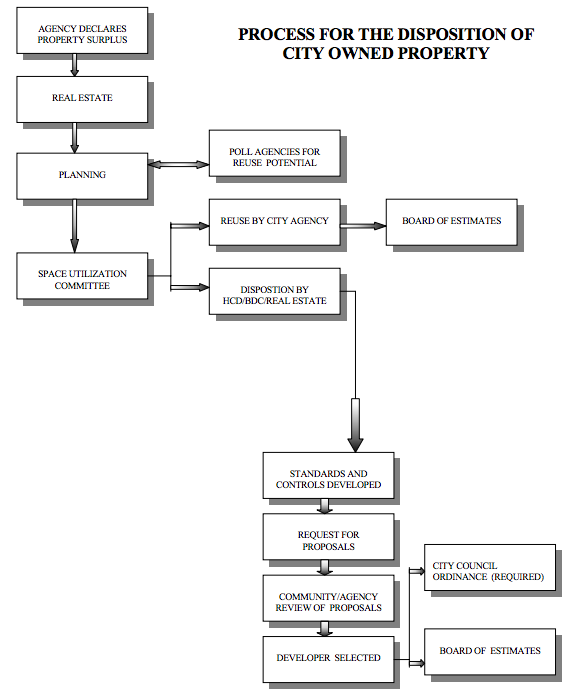 The Space Utilization Committee is a body established by the City Board of Estimates to review and act upon request for the use of city-owned property. Upon approval by the Space Utilization Committee, the Department of Real Estate will submit the License Agreement for approval by the City Board of Estimates. No License Agreement shall be binding until approved by the City Board of Estimates. The Board of Estimates consists of the Mayor, City Council President, Comptroller, City Solicitor, and Director of Public Works. Licensee shall, at its expense, comply with the Federal Communications Commission ("FCC") and all present and future federal, state, and local laws, ordinances, rules and regulations (including laws and ordinances relating to health, safety, radio frequency emissions, and radiation) in connection with the use, operation, maintenance, construction and/or installation of Licensee’s Equipment on the Licensed Premises. Requests must be submitted in the full legal name of the wireless communications company for whom the request applies. A written list and photograph of existing equipment on site must be provided with all requests for modifications and additions to existing leases. If you have a current lease/license agreement, proof that your agreement is not in default must be provided with the request. No requests for lease/license modifications or additions will be received if you are currently in default. Lease inquiries or license status should be directed to [email protected]. Provide the lease/license end date and/or explanation of default. Licensee or Lessee in default shall have 30 days to cure such default. All requests for modifications, renewals, addendums or additions must have a current lease or license agreement or a copy of the executed existing lease with Baltimore City. If you have a current lease or license agreement with the City, a copy of the executed memorandum of lease must be provided if the lease is for or has extended for a term of over seven years with the request. If a memorandum of lease has not been executed with the City, a memorandum of lease must be executed and state taxes and City recordation taxes may be due and will be required to be paid prior to approval of any additions or changes. A current copy of your entity’s organizational structure must be initially submitted with the proposal for review by the City of Baltimore. If you have previously provided these documents then submit an explanation with a reference to the lease or license agreement to which the documents were attached. If the requesting entity has changed names or merged since the signing of the original lease or license agreement, up-to-date articles of incorporation, bylaws and/or articles of merger will be required with your request for the review. Proof of up-to-date insurance. A copy of the insurance certificate with the amounts and ending date of insurance coverage with submission. For rate requests, insurance may not be required until an agreement has been established between the City and the Lessee or Licensee. The name of any contractor who will be performing any and all modifications or additions on site. Baltimore City must be indemnified against any loss arising out of the contractor's performance per the lease agreement. Note that the City shall not accept debarred or suspended contractors under Title 16 of the State Finance and Procurement Article of the Annotated Code of Maryland who provide, directly or indirectly, supplies, services, architectural services, construction-related services, leases of real property, or construction related to the site. An acting agent or contractor for the Lessee or Licensee, must provide name, title and contracting company with each proposal. Please note that Baltimore City will require documentation of your authority to act on behalf of the Lessee or Licensee in conjunction with this Lease Agreement. Documentation must be signed and dated by Lessee’s or Licensee’s authorized representative or legal counsel indicating your authority to modify the existing lease/license agreement(s) and/or other existing lease/license agreement(s) between Lessee and Baltimore City agencies or departments. This should be provided in PDF format or as a hard copy with the proposal. The documentation must include the proper authorization(s). Proof that the requesting Lessee is in good standing with the State of Maryland. Foreign or out of state entities must register with the Maryland State Department of Assessments and Taxation to enter into a lease agreement with Baltimore City. 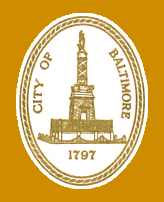 ¹ Disclaimer: The telecommunication licensing process of the Mayor and City Council of Baltimore (the “City”) is subject to change and that information provided here shall not be considered binding upon the City nor does it constitute an agreement of any kind with the City. The City makes no claim that the data provided is complete or accurate. The data is posted on this site for informational purposes only, and should be independently verified prior to reliance when filing any license application.